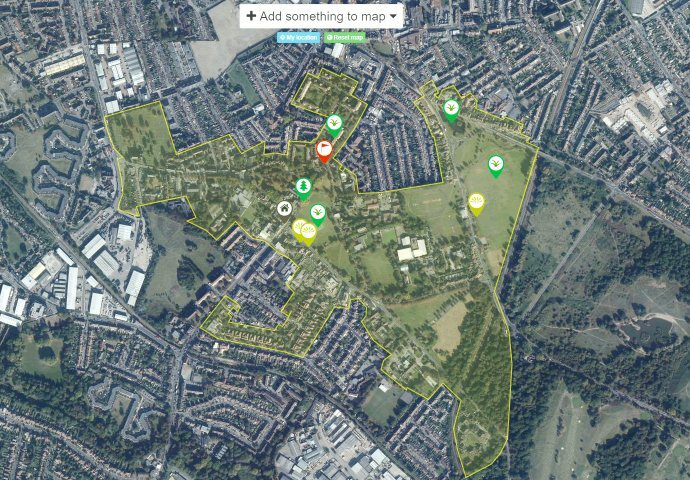 Our interactive community map is a collection of what people feel makes Cricket Green special. If there is a building, open space, tree, view, feature or something else you like or enjoy looking at, please let us know by adding it to the map. Create a bookmark on your phone and add new places as you see them. Don’t forget to add a photo. Browse the map and add your own comments to places that other people have already added. To add your favourite things to the Community Map start here.